In some diseases, organ transplantation is the only hope to save the patient's life. One of the urgent issues of transplantation the shortage of donor organs. Patients have months or even years to wait for surgery. Many patients die waiting. The solution to the problem could be the xenotransplantation - temporal transplantation of animal organs to man. Transplanted human on animal is not so easy. Transplanted organ should be appropriate to the age, physique and weight of the recipient, the necessary genetic compatibility. Even donor-the person selected very carefully, what can we say about a creature of another species. However, the needs of medical practice dictate the conditions. It would be logical to assume that an organ donor will be the closest to the human being – a chimpanzee, but the transplant team turned the eyes on the pig. Far from science people even hurried to put in connection with this question the origin of man from apes, and Darwin's theory as a whole. Arguments about mass transplant of pig organs to people is greatly exaggerated. To date, medicine has not moved beyond the mechanical transplantation of functional tissue – heart valves, cartilage and tendons. Tissue prior to transplantation are treated with special chemicals and ultrasound to destroy antigens and prevent rejection of these tissues by the recipient's body. Even such a transplants in the treatment is very easy to damage, making not viable, what can we say about more complex formations – heart, kidney or liver. Therefore, the transplantation of entire organs of a pig man. Certain hopes are pinned on the creation of genetically modified pigs. If by modifying the genome to make the cells of the pig to synthesize on the surface of human glycoproteins, the human immune system does not perceive these bodies as something alien. But this method is still at the stage of laboratory research to mass use in medical practice is still far. 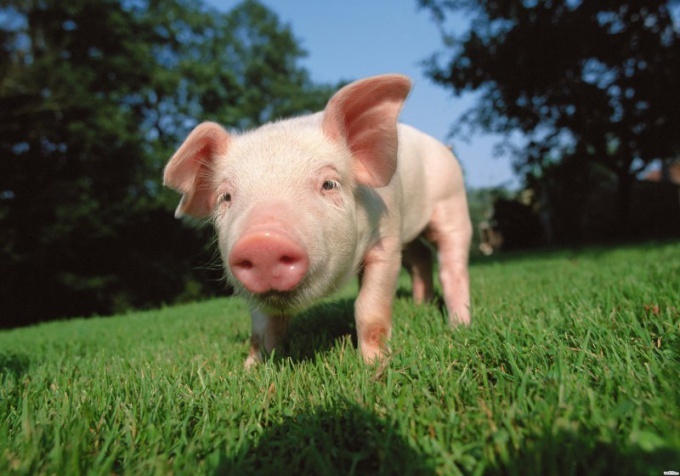 The choice of the pig as potential organ donor is not due to the genetic proximity of this animal to man. Most genetically similar animal is the chimpanzee. But the number of these monkeys in the world is measured in tens of thousands for mass application in medicine is clearly insufficient. Pigs also slaughtered by the millions every year. With regard to tissue compatibility, that is closer to human animals – mouse, but they don't fit, and pigs in this respect is comparable to the man. Breeding pigs people do for a long time, these animals are well studied. It is unlikely that they will present" some unknown terrible disease that can be transmitted during transplantation. Pigs reproduce well and grow quickly, and their breeding and maintenance costs are relatively cheap. All of this leads to prefer the pigs, and not monkeys, the use of which would make transplantation of organs – already not cheap – service is available only to billionaires.